Goods from sawmills: unedged and edged sawn goods, semi-prefabricated parquet and furniture products, e.g. parquet friezes and slats. There are drying chambers in most of the sawmills. In certain places the Robinia wood is treated with steam. 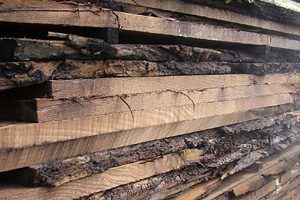 As an effect of the steaming – depending on intensity and time – the Robinia wood gets dark brown or very dark brown.